Decorating Diva Tips: What Are The Best Kitchen Colors to Compliment Stainless Steel Appliances? 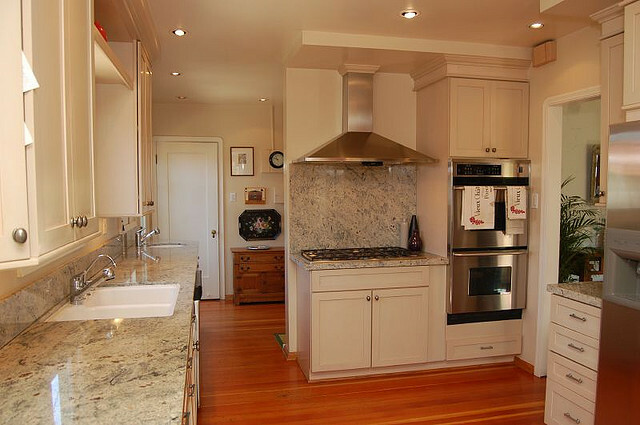 What Are The Best Kitchen Colors to Compliment Stainless Steel Appliances? You've lingered over paint swatches and read the paint color selection guide, but are still unsure what color to use in your kitchen. Colors that match with stainless steel are wide and varied, but that doesn't mean to say that stainless steel is a good match with any color on the chart, or tile sample you find. 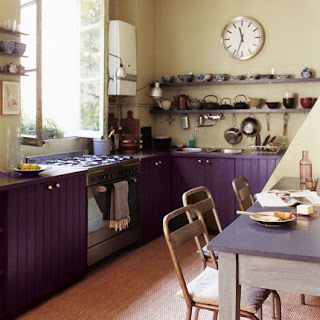 In a kitchen, your color choices are more restricted than with most other rooms as you don't have soft furnishings to fall back on, as a way to introduce color. 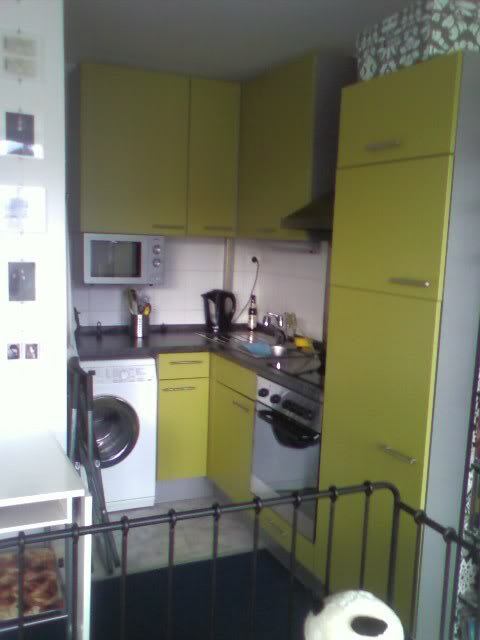 Color in a kitchen tends to revolve around paint on the walls, tile splashbacks, countertops, and cabinets. Metallics are one of the hottest color trends in decorating at the moment, so pairing stainless steel with other current colors would give your kitchen a highly trendy appearance; Try zesty green, warm yellow, mushroom, and deep berry tones. Using black and grey in small spaces, or as a metallic would also work well. Tiles with a gloss finish are not a good idea for a kitchen with a number of stainless steel appliances, although a splashback area in stainless steel, or mirrored-type tile can work well. Otherwise, tiles are best kept to those with a more matt, or textured look. Many colors for tiles work well, but don't use more than two, as again it will overwhelm the room. Neutral, and earth tones, are good kitchen colors that match with stainless steel, and give appliances a complementary backdrop. Although, don't be afraid of using more vivid red, black or purple, if that suits your scheme better. The range of countertops available now is astonishing, whether you buy storebought, or opt for building your own wooden countertops. There are more types of wood from the palest beech, to the darkest iroko, before we even start with granite type worktops. All this means is there is more choice in both color and texture to use in your kitchen, so which countertop color best matches with stainless steel? When looking for kitchen cabinet colors that match with stainless steel, it is more a question of what other colors are already in use in the kitchen's decor. Cream, is a color that works very well with stainless steel, as does the current trend for gloss finishes on cabinet doors. Red and black are popular options for kitchens now, and both work really well with stainless steel, if the color on the wall isn't competing for attention. 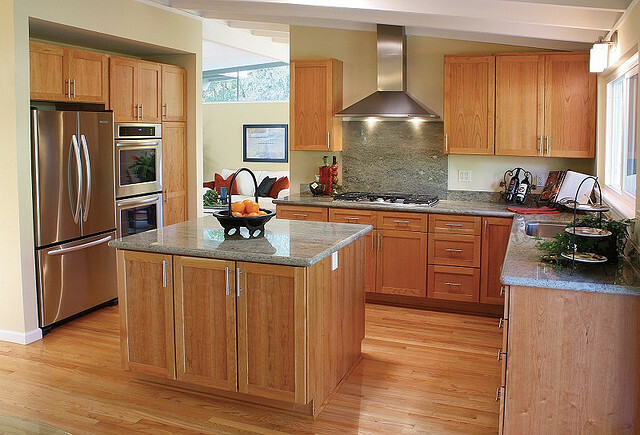 Wooden cabinet doors with a natural finish, also have a naturally affinity with steel colors. Whilst it's true to say that matching colors with stainless steel isn't a hard task, you should definitely think about the whole picture, of cabinets, countertops, etc. and how all these colors combine, before making your main color choice.